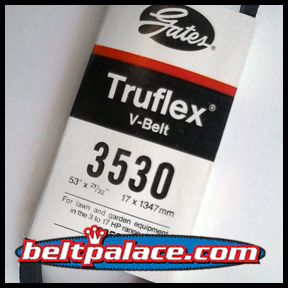 Truflex 3530 Belt. Now obsolete: Will ship as 5L-530FHP belt. Category: FHP Low Horse-Power V-Belt. Closeout priced item. All Sales final.